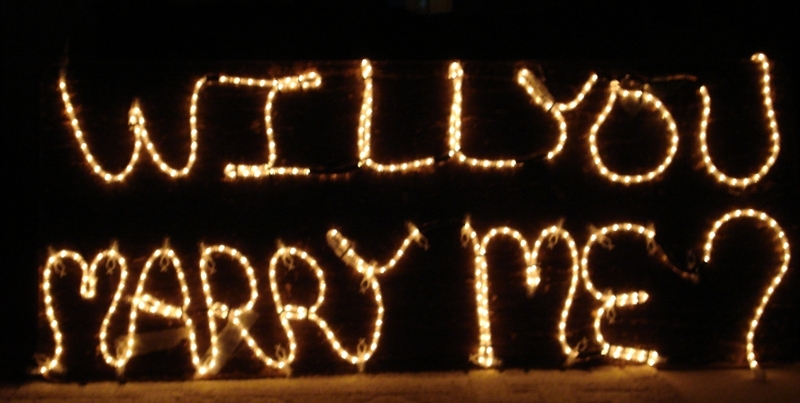 Simple and Effective Christmas Proposal Ideas! 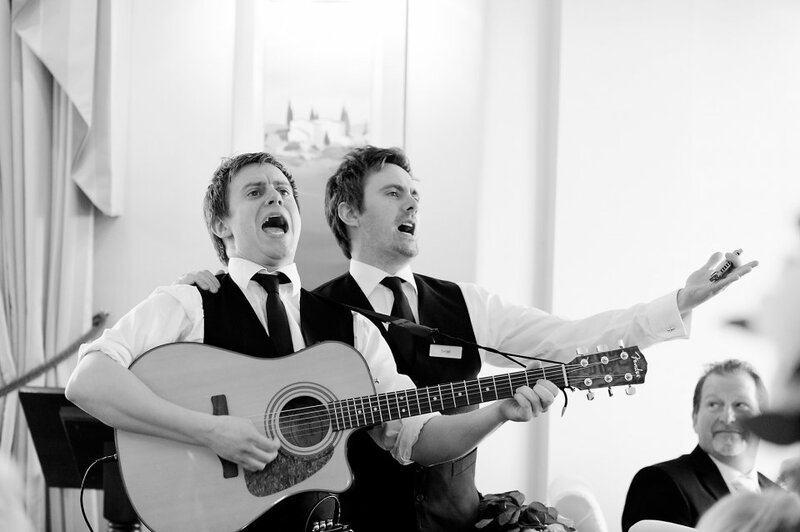 Whilst weddings may be our specialty, at Warble we believe that the proposal is just as important as the big day. After all, you can’t have one without the other! 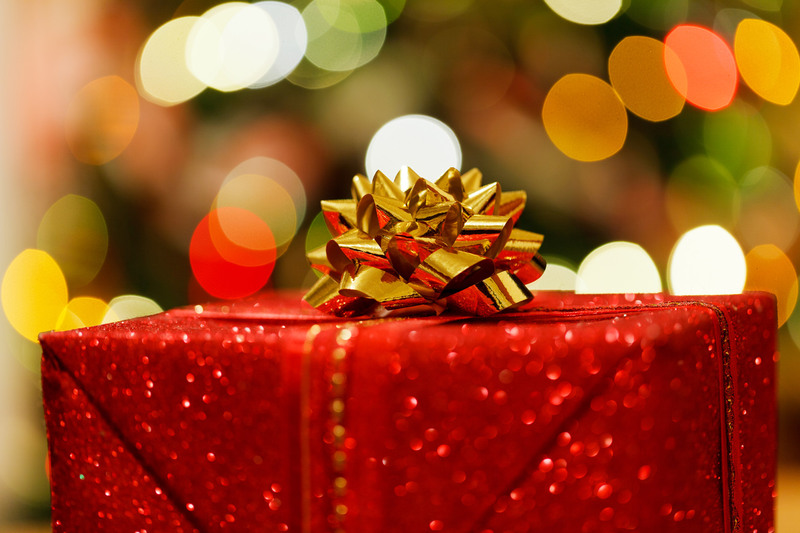 If you know that your partner wants a summer wedding in 2016, or if you are desperate to pop the question before the year is out, then a Christmas proposal may be perfect for you. But how to go about it? There are so many ways to ask that all-important question, so we’ve put together a list of our top 6 choices. If you’re putting up with all the agro that bad weather can cause, then you might as well get some use out of it, and snow can be extremely helpful for romance. 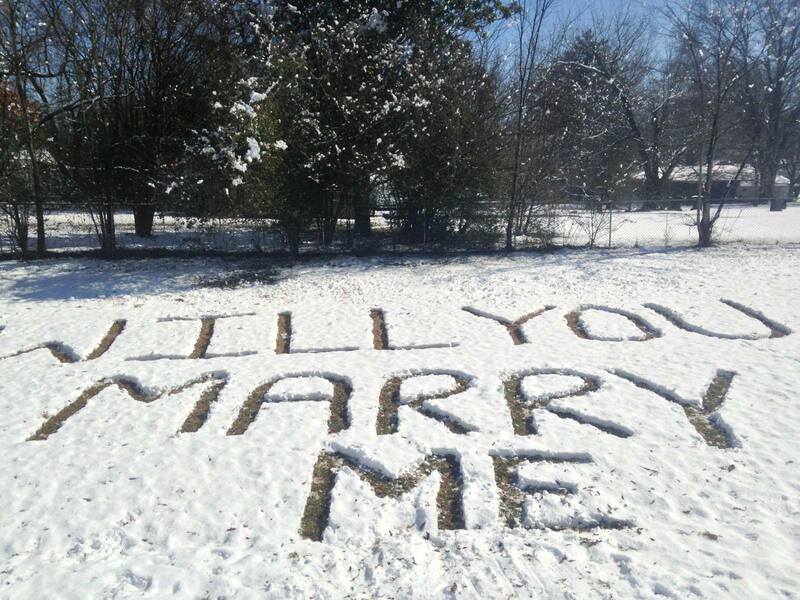 Not only does a blanket of snow make any scene instantly beautiful, but you could use it to propose. Why not write the question in the snow like this? 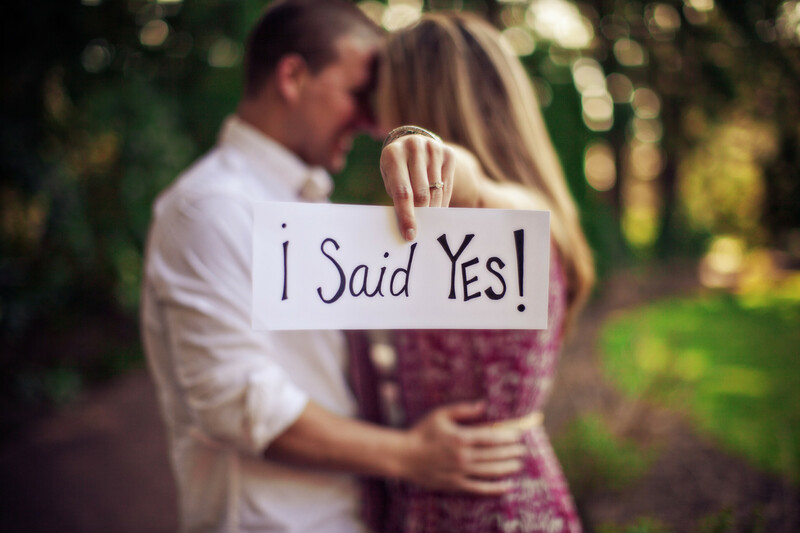 This is a perfect idea for spontaneous proposals, and although it seems simple and easy to do, it looks so romantic! If you want you want something a little out of the ordinary, hiring a vocalist to sing your proposal is a sure way to impress your partner. There are lots of ways to go about this. For a more public proposal why not take your partner out for a lovely meal and surprise them with a singing waiter/waitress. Alternatively, if you like the idea of singers but want your proposal to be a bit more private, you could think about hiring a local choir or singer to knock at your house pretending to be an ordinary caroler. The Warbletones would be perfect for this – a group that are happy to dress in any theme you like, maybe Victorian costume, Novelty Christmas Tree / Cracker outfits or Winter Woolies. Whatever the setting, a singer or choir can change the words of a carol to include your personalised proposal, ensuring that your partner will always remember it. For something a little more traditional we would suggest a bit of good old kissing under the mistletoe. Hang the mistletoe up high and weave the engagement ring into it. When you’ve had a little smooch point upwards and your partner will marvel at how inventive you’ve been. This will also ensure that you and your partner always remember your first kiss as an engaged couple. Fancy being a bit crafty with your proposal? Hide the engagement ring in a Christmas ornament and hang it on your tree with your partner’s name on it. 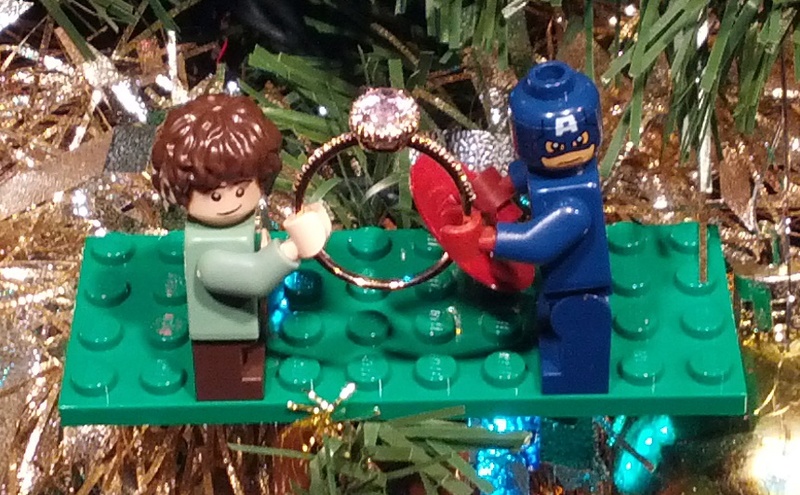 When he or she realises that the ornament doesn’t fit the rest of the decorations the ring will be revealed. Another way of hiding the ring is to wrap it in a box. Then wrap it in another box, and another box, and another. Putting the ring in several boxes that gradually get bigger will disguise what’s really inside. This is a very sophisticated and private way to propose that gives you the opportunity to say all that you want to say in the privacy of your own home. Wait until Christmas morning when he or she opens the presents, they won’t expect a tiny ring to be in such a big box! Sticking with the theme of illusion, we love the idea of hiring a magician to aide your proposal. 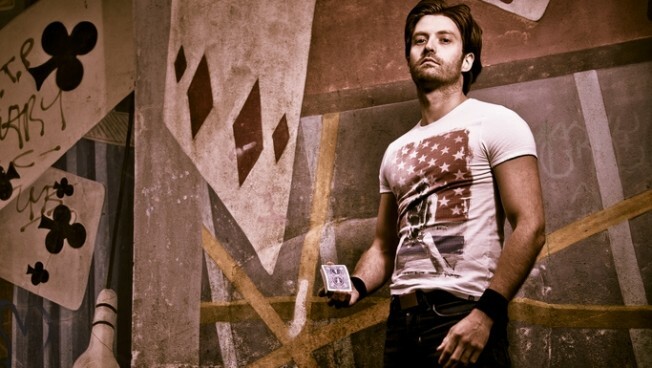 At Warble we have a range of magicians who perform close-up, mix and mingle magic. There are a range of tricks that could be tailored to a proposal, like hiding the ring and having it emerge from somewhere else, making the words ‘marry me’ appear on a playing card that was clean before hand. Whatever trick you decide on, hiring a magician guarantees a magical proposal. Alternatively, if you want to go all out and make sure everyone witnesses the big question, then you could go for a visual proposal. Displaying the words ‘will you marry me’ in Christmas lights guarantees the shock factor and shouts out to the world that you are in love. Whether you do this in the privacy of your own garden, or in public for all to see, a light display joins the magic of Christmas and marriage together. If you’re looking to propose over the Christmas period, we hope these ideas have helped and that he or she says a big fat YES!! !